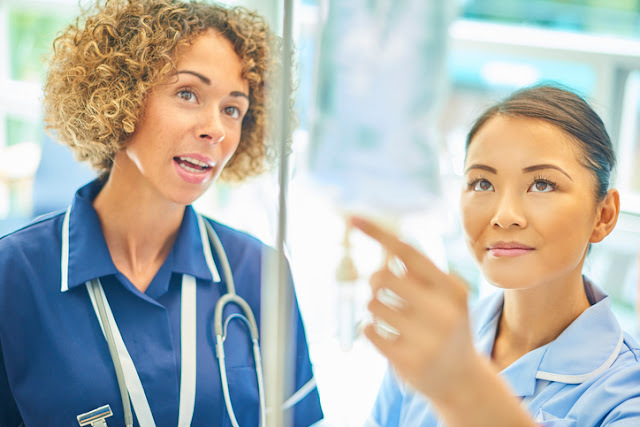 You may be surprised to learn that the biggest difference between a licensed practical nurse (LPN) and a licensed vocational nurse (LVN) is simply in the title. The LVN title is used in California and Texas, and LPN is used in the rest of the country. The LPN/LVN profession began in the 1940s as a way to get nursing students into the workforce in less time than a registered nursing program. There may also be some minor differences between the LPN and LVN when it comes to responsibilities, which are based on the state you live in. But for the most part, they’re simply different titles for the same job. The licensed practical nurse (or licensed vocational nurse) profession started in the early 1940s. It was a way to get licensed caregivers into the workforce in less time compared to the training required for registered nurses (RNs). Because many RNs also served in the military during World War II, there was a nursing shortage in the U.S. LPNs/LVNs were a vital solution to that problem as well. Nursing students who graduate from LPN/LVN programs are required to pass the National Council Licensure Examination for Practical Nurses (NCLEX-PN) to become licensed. Both LPNs and LVNs work under registered nurses and doctors. When you’re a LPN/LVN, you’re often the go-to member of the nursing staff. For instance, you may manage a long-term care facility during evening and night shifts when a RN isn’t on site. And while you can’t replace a RN’s practice, you play a large role in how facilities function. ◉ Classes. Your classes will include theory and the nursing process. There will also be lab classes, which help you practice your skills. You’ll learn about the history of nursing and culture, body mechanics, nutrition, legal and ethics topics, anatomy, physiology, and more. ◉ Clinical training. You’ll be required to attend a certain number of hours of clinical training. That’s where you’ll shadow and assist the nursing staff at a chosen facility. ◉ State licensing exam. Once you complete the nursing program, you’ll need to pass the NCLEX-PN. When you pass this state-mandated exam, you’ll receive your license and be ready to practice. It takes about two years to earn your LPN/LVN license. This includes one year for your prerequisites and one year for the actual nursing program. These programs tend to fill up quickly, so if you miss out the first time you apply, simply resubmit for the next training period. ◉ Start your studies after class. Instead of going home, stick around campus to study. Staying in “school mode” may motivate you to study more and will keep you away from any distractions at home. ◉ Stay organized with a planner. Write down your homework assignments, chapters to read, and class materials to print out. It can go a long way toward making sure you stay on top of schoolwork and schedules. ◉ Join or create a small study group. If you can put lecture materials in your own words and present them to your study group, you most likely have a real grasp of the information. A study group can also help with practice questions for exams. 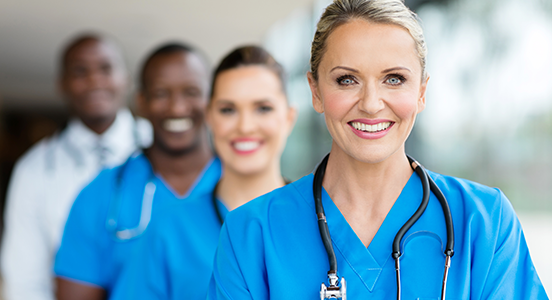 Whether you become a LPN/LVN as a stepping stone to a RN practice or you prefer to stay in the LPN/LVN role indefinitely, you can be proud to be part of this rewarding and exciting profession.